The Nvidia Quadro FX 2700M is a professional graphics card for laptops. It features certified drivers that are optimized for CAD (e.g., AutoCad, Inventor, Solidstation, Solid Edge, ..), DCC (e.g., Maya, 3DS Max, Lightwave 3D, ...), and visualization applications. The FX 2700M is based on the G94 core and therefore similar to the GeForce 9700M GTS. 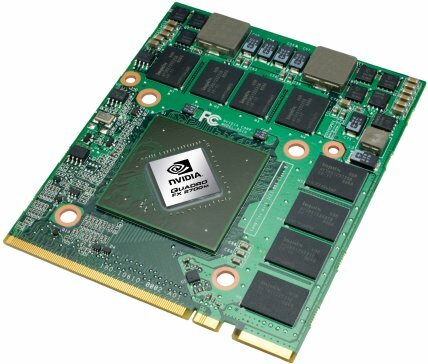 The Quadro FX series of cards are optimized for professional applications like CAD or DCC. Especially the OpenGL performance should be noticeable better than with consumer GeForce cards. The certified drivers, that come with the Quadro cards guarantee a frictionless work with applications like AutoCad, Inventor, Solidstation, Maya, 3DS Max, Lightwave 3d and others. Furthermore they offer 12-Bit precision for subpixels, fullscreen anti-aliasing, hardware accelerated antialiasing for points and lines and other CAD and DCC optimizations.